Graduated from Fudan University, China, a Chinese ivy-league university, Mr. Li finished his Master Degree and Jurisprudence Doctor degree in the United States. As a certified member of the CalifomiaBar,Mr. Li externed for federal court judge, the Honorable Ronald Lew, and is cerlified to appear in California Superior Court, California Court of Appeal, Federal District Court. As a managing attorney in the Professional Law Corporation, Law Offices of Bin Li & Associates, Bin Li has been focusing his practice in the area of corporation law, mergers and acquilsitions and business litigation. 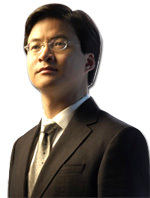 As a litigation attorney, Bin Li has represented hundreds of corpgrate clients in their lawsuits, mediation, or arbitration from commercial debt collection, sharerholder disputes, intellectual property infringements, contract disputes from both plaintiff side and defendant sides with the amount ranging up to nine figures. The most well-known litigaition clients include China Lucky Film Corporation, Zhejiang Maolong, Jiangsu High Hope, Tianjing Tiancheng from China, River Star, Diophy, Inc. of California, Phoenix Television fronn the tIS. and Green Wood from Hong Kong. As a corporate lawyer, Mr. Li has represented corporate clients in international mergers and acquisitions, intellectual property prosecution and litigation, contract drafting and negotiation. With his ten years tenure as legal practitioner, Mr. Li has represented hundreds of clients in their corporate legal needs. Most representative merger and acquisition projects include Intel's Fab 23 in Colorado in 2007,3H Coal Mine in Tennessee in 20ll, Glassair Aviation, LLC in 2012, Torrance Marriott Hotel in 2013, and Eagle Mountain Iron Ore Mine in 2013 and other lands, hotels, and companies.